Where does Meeting Lydia rank among all the audiobooks you’ve listened to so far? I would say that this would be in my top third. One reason being that this is a book I can picture myself listening to more than once. It's one where you feel that the female character understands what you, as a woman, is going through at that certain point in your life. The narrator was so easy to listen to. She just seemed to get me; to let go of all my outside troubles and concentrate on the story that this author has written. Have you listened to any of Harriet Carmichael’s other performances before? How does this one compare? I have not listened to any of this narrator's performances before. But after listening to this book, I've already scoped out my next one narrated by Ms. Carmichael and put it on my wish list. If you could rename Meeting Lydia, what would you call it? I would never even think of doing that to an author. They have picked the title for a specific reason and since I enjoyed the book as it was why would I want to make any changes. I may not have picked up the book, and probably would have bypassed it, but having the audio copy showed me what I might have missed otherwise. This author has put a voice to what a lot of women go through once they hit that "M" stage. It may not speak to everyone but there will be a few who may understand some of what Marianne was going through. It had me wishing that she were my friend so we could meet and chat. It's a story where a woman is trying to reconnect with her husband but is there someone else trying to get his attention. Marianne then recollects about a friend from school that she remembers fondly and tries to renew their friendship. Isn't that something like we do when we go to school reunions? How many of us try to track some of those friends down using the resources of the internet? Don't we want to know that we still matter? This was a great way to find both a new author and a new narrator. I can't wait to get my next read from both. It was a story that made my commute and my days where stress started to overtake me more pleasurable. The beauty of listening to this on audio was I could really get absorbed, the narration kept my interest and it was easy to differentiate between the characters. I always feel listening to a book gives a completely different opinion to ‘reading’ it. This one transferred well to audio and because it spanned over 8 hours it gave plenty of enjoyment. The sound quality is brilliant and I don’t hesitate in recommending this. It is also one of those stories which continues to make you think or reassess your own life once it has finished. I do appreciate it when the title of a book is explained and it does become obvious why this is called Meeting Lydia, all part of the rich tapestry of life and ties the story up nicely. This book takes you across a whirlpool of emotions, dissecting childhood fears, teenage angst, marital problems, menopausal interruptions and strives to deal with them all so that possibly life can be rebuilt after a shake-up. It explores so many situations and really grips the heart, one minute I was agonising over whether Marianne and Edward could actually recreate a bond and the next laughing at some of the descriptions she uses about Charmaine, Johnny’s ‘friend’. Who was the most memorable character of Meeting Lydia and why? Marianne was quite an awkward character to warm to but she has her moments .. sometimes she could be infuriating though and I’m sure she wound Johnny up just to get a reaction in order to moan. I was offered the audiobook to listen to as part of the blog tour .. the cover image intrigued me straight away then when I read the blurb I figured it could be right up my alley! As a woman of a similar age I could empathise with Marianne on many levels. She is married to Johnny, grown up daughter just left for uni, suffering empty nest syndrome as well as the dreaded ‘M’ word. She no longer feels attractive her hormones are making her exceptionally cranky and then she realises her hubby is spending time with a much younger work colleague who happens to be gorgeous! He spends more time at the pub and she begins to dredge up her past. Poor Marianne went through bullying at school this has left her traumatised but she thought she had buried the demons. It’s when her daughter Holly suggests mum get’s a life and shows her how to join ‘Friends Re-united’ that Edward her school crush creeps back into her memory. Thanks to the author, narrator, publisher and Jess at AudioBookWorm for the opportunity .. I voluntarily reviewed. Would you listen to Meeting Lydia again? Why? Younger Marianne definitely hit me in a soft spot. Hearing the small details that a child will catch. Like when Marianne walks into her house and the dog comes bounding towards her, and she thinks to bend down and make sure the dog doesn't jump on her. Because she would have been knocked over. She's just this little girl. No, I have not.I believe Harriet Carmichael embraces the main character and definitely helps bring a mental picture of who she is, what's going on. The audio quality was very well put together. I could hear the narrator very clearly. There was a moment or two where it suddenly went softer in volume for a brief second, but maybe it had to do with my crappy headphones. So I'm not counting that. Harriet Carmichael's voice is forged in my brain. I love how she brings emotion into her narration. She's animated. That's what I look for in an audiobook. When Marianne suspects that she could possibly be pregnant (at 46 years old) or . . . "the M word," Harriet changed her tone so perfectly that it sounded as if she were really the one with these thoughts. And I love that! It was breaking my heart whenever Marianne thought of Charmaine. *SHUDDER* My heart was on the floor. The prospect of divorce is bit of a touchy subject in some ways, but the author played it in perfectly. And when Edward Harvey is brought . . . Let's just say I am a huge fan of meeting an old crush again. Overall, I quite enjoyed this book and the story. Audiobooks, for me, bring a different experience to reading a story. I also find that it will depend on the narrator. What did you like most about Meeting Lydia? I have always enjoyed listening to audiobooks but since having my daughter in July last year I have listened to more and more and after reading the blurb for this one I was very keen to get my headphones on and get stuck in! I was really gripped with the plot and I loved the characters. I thought Marianne was an excellent character that I could really relate to and sympathise with - I thought the story was really good and it did surprise me with how enthralled I would become in it. The story starts early on in Marianne's life to get some background on her and we move through to the present day and see how the actions from her past still affect her today. Have you listened to any of Harriet Carmichael’s other performances? How does this one compare? Yes definitely but I listen to my books as a treat - I have a six month old daughter so one sitting is not possible at the moment! 4.5 stars from me rounded up to 5 stars for Goodreads, Amazon and Audible - the narrator was superb and really brought the story to life, she was an excellent choice for the book. Very highly recommended, I loved listening to it and its definitely one I would listen to again! An Emotional Journey Of Self Discovery. If you could sum up Meeting Lydia in three words, what would they be? Marianne because she seems like she suffered a lot in her young life that she can't get over and so she spends time looking for the freedom to let the past go and reconnect with those she loves and do care about. What about Harriet Carmichael’s performance did you like? I enjoyed listening to Harriet Carmichael read Meeting Lydia. It was clear who the characters were through their different voices, and nice to listen to on a cold Sunday. 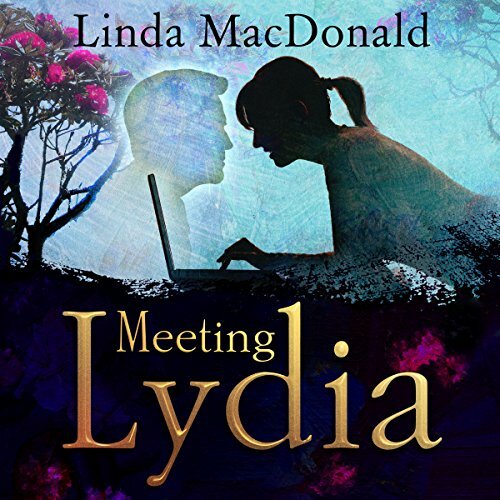 Meeting Lydia By Linda McDonald. Meeting Lydia was a very interesting and somewhat an emotional Journey for Marianne as she comes to terms with getting older, and her feeling of the bullying she suffered as a child that still affected her life as an adult.This along with her husband's lack of attention to her emotional needs prompts her to go in search of Lydia's distant comfort from her school days. I also found her daughter to be a very likeable character who is strong and open and also travelling down a different road herself. While trying to deal with the clear distance between her mum and dad. I found the topic of bulling and how it doesn't always end when those bullying stop very interesting and the fact that when she searched out Lydia, it had a profound effect on how she felt about the pain from those days she had in her heart after they made contact.Will Marianne ever meet Lydia? Or reconnect with her husband? Get this Audible book to find out. I would recommend this book if you like stories about relationships, finding oneself and stories with interesting characters. What made the experience of listening to Meeting Lydia the most enjoyable? Exactly how I had imagined the characters when I read the paperback. Marianne is always going to be my favourite as it is easy to identify with her. Harriet's voice and intonations did not detract from the storytelling. I enjoyed her emphasis, pace and found it easy to visual the settings.